A new bug was discovered in Windows 7 , by us (shankee.com). This window 7’s bug results in delayed/hanged start up. 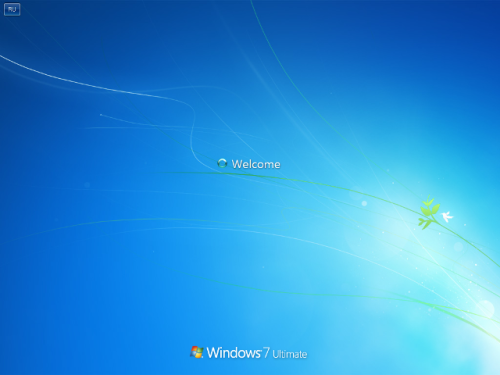 We disclose further details of the flaw in the latest release of Windows 7 and possible solution. Let me tell you it is not the blue screen of death on Windows 7 error it’s a new error and has not yet been reported yet. The error occurred when you would turn off your computer without shutting it down properly by going to Start menu>Shutdown. And when you would restart the PC , windows 7’s start up will be delayed for a very long time and would show a welcome screen saying “Please Wait”which would stay on for a very long time. I tested that for an hour almost and was so pissed off by that. We really researched the error and it’s existence has been confirmed . I have seen a similar error in Vista as well. We have discovered a solution to the delayed start-up problem. Go to the safe mode. As the PC would not have been properly shut down most computers would show a boot in safe mode menu. If you don’t see the Safe Mode menu press the “F2” key and the menu would show up. From the menu select “Start in Safe mode”. When you are logged in go to Start menu and select Restart from it. The computer will Restart and you would get your normal screen. This error was found in the latest updates Windows 7 RC version. There was one interesting thing about this error that it was found in some machines while some did fine with the turn off thing. Please comment and tell me if this error exists on your system as well.